If you are a business owner anywhere in Sydney, you know exactly how high the competition levels are and how important it is to ensure that every aspect of your business is the best. In this effort, you design your office spaces in the best possible way and make sure that you have good housekeeping staff that cleans all the areas properly, on a regular basis. However, there are times when you feel that your commercial space should be maintained by professionals. This is especially true when you have large carpeted areas that have to be cleaned regularly. We at Deluxe Carpet Cleaning are one of the leading companies in the Commercial Carpet Cleaning in Sydney space and have a large team of professional carpet cleaners who ensure that every single carpet installation on your property is free of dust and dirt. With years of experience behind us, we know what it takes to clean all the carpets thoroughly. Though it may seem like Commercial Carpet Cleaning in Sydney is an easy job, the fact is that it’s a highly specialised one. It’s not just about vacuuming these spaces; it’s also about using the right cleaning agents that will effectively get the smells and stains out of all the carpeted areas. While it’s not difficult to acquire commercial cleaning agents, most of the ones that you pick up at supermarkets are either ineffective or too harsh. They can actually end up doing more harm than good; this is because the harsh chemicals in them can end up damaging the delicate fibres of the carpets. This means you will end up paying a large amount of money to replace them in the long run. What is the volume of traffic your business sees everyday? 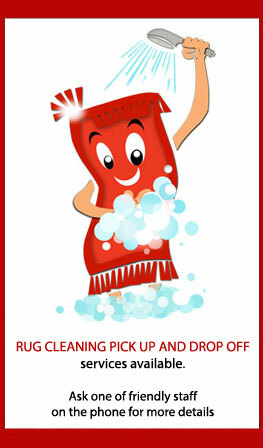 Do you have an internal housekeeping team that handles weekly carpet cleaning? Which are the high-traffic and low-traffic zones in your office? We ensure that your carpet is free of odours, stains, mould, mildew, fungi, dirt and dust. This greatly improves the indoor quality in your commercial spaces. For more information about our high grade Commercial Carpet Cleaning in Sydney solutions, call Deluxe Carpet Cleaning at 1800 684 506. Alternatively, you can use this online form to request a quote. state of the art equipment and services will give your carpets, flooring and upholstery in your workplace the glow in needs. Keeping the office fresh for end of lease carpet cleaning or just giving general monthly carpet or upholstery clean. Let our team at Deluxe Carpet Cleaning sydney provide the healthy working environment your office deserves. Affordable Carpet cleaning with a Deluxe and professional touch.